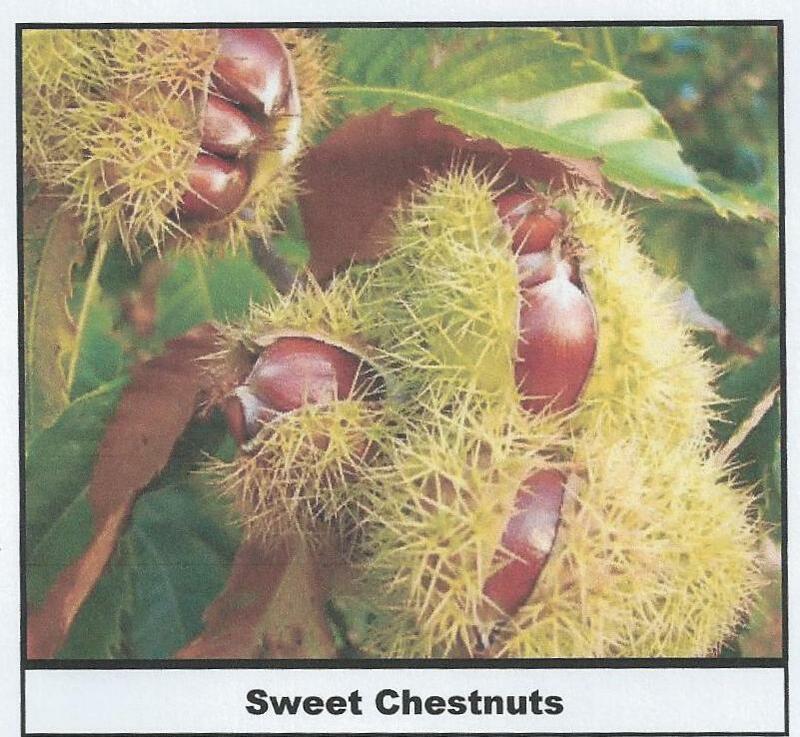 This is the true Chestnut , not to be confused with the Horse Chestnut. Probably not native to England, although here for many centuries. It does not like a very rich soil or stiff clay, & thrives best in a sandy loam. 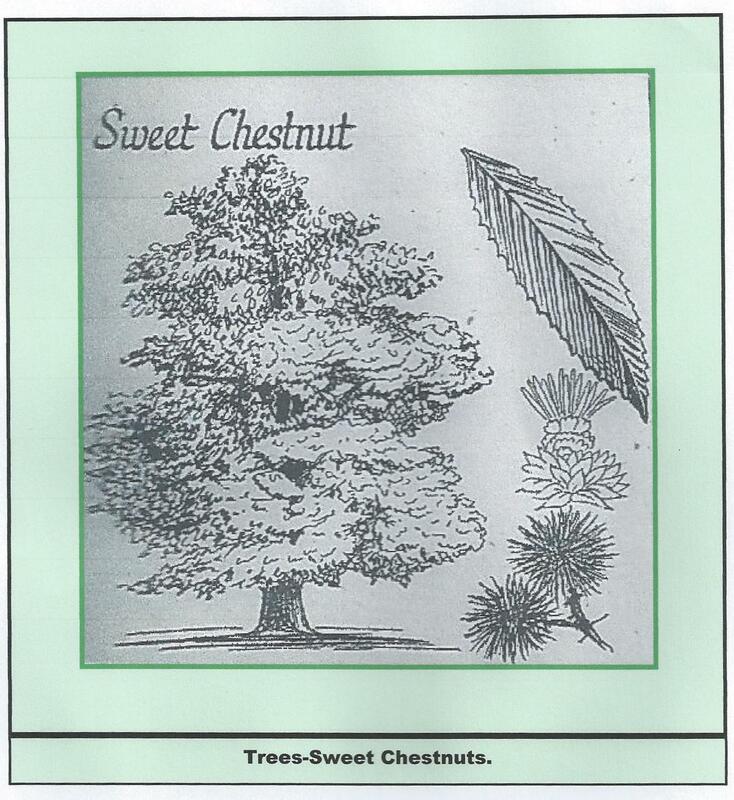 It is a tall upright tree with a stout trunk & short horizontal branches. The bark is furrowed longitudinally, at its base the furrows usually have a marked twist, as if the whole tree had been twisted round. The big, pointed leaves grow up to ten inches in length & have their margins cut into long, sharp teeth. The flowers are very attractive. The foliage of the tree turns shades of yellow & brown in the Autumn, remaining on the twigs till well om into thee winter.